La Trobe University came into being in 1967 and was the third university to open in the state of Victoria, Australia. 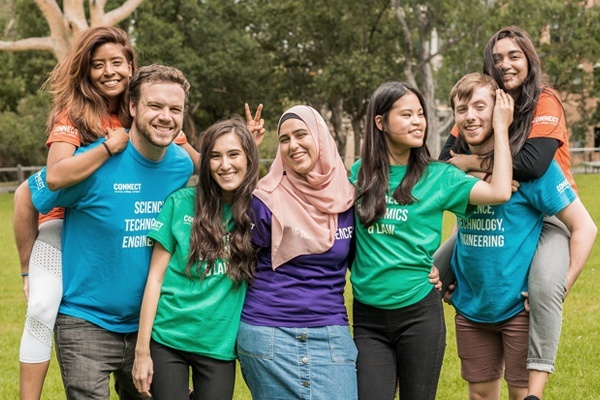 Its main campus is located in the Melbourne, which has the distinction of being the most liveable city and the fourth most student-friendly city in the world. A reputable university and one of the premier institutions in Australia for Allied Health and Bioscience degree and research programmes, La Trobe was ranked 20th out of all Australian universities by QS World University Rankings in 2013. Subject Strengths: Nursing, Physiotherapy, Occupational Therapy, Speech Pathology, Microbiology, Biochemistry Cell Biology. The Melbourne campus (La Trobe’s main campus) is set in 256 hectares of beautiful bushland on the traditional lands of the Wurundjeri and Boonerwrung people, 14kms north-east of Melbourne’s CBD. The campus has a genuine community feel that offers a fantastic environment for both study and socialising. There’s always plenty going on for students, with regular cultural and sporting activities, live entertainment, and a host of other activities run by student clubs and associations. In addition to its serene setting, the campus is renowned for its world-class library, Research and Development Park, and wildlife sanctuary. See below for a list of amenities near our campus. The Albury-Wodonga campus is located on the traditional lands of the Dhudhuroa and Wiradjuri people adjacent to the Murray River. With the Riverina and the Australian Alps at its doorstep, the region offers a wide range of employment, sporting, leisure and cultural opportunities, making it a great place to live, study and find work. As well as modern teaching facilities, including the Murray-Darling Freshwater Research Centre, the campus has a range of services and facilities to support students. See below for a list of amenities near our campus. La Trobe University's Bendigo campus is the University's second largest campus with more than 4,000 students. The campus is situated in a beautiful bushland setting on the traditional land of the Dja DjaWurung and Jaara people, just three kilometres from the centre of the city. Bendigo is a vibrant and progressive regional city and used to be one of the centres of Australia’s 1850s gold rush. Beautifully restored buildings line its wide streets, which also feature many fantastic restaurants and cafes. As a regional centre, Bendigo is surrounded by vast amounts of agricultural land that features wineries, orchards and grazing properties. See below for a list of amenities near our campus. Occupying a level of 360 Collins St, in the heart of Melbourne's business district, the Campus has been designed around the latest innovations in educational design and teaching and learning technology and features a new and fully customised fit-out. The campus has a range of modern learning spaces and meeting rooms for use by both students and staff with all spaces able to be booked, pending approval on use and availability. See below for a list of amenities near our campus. Campus was designed around the latest innovations in educational design and offers a suite of Master’s programs. See below for a list of amenities near our campus. Mildura is located is north-western Victoria, and is renowned for its Mediterranean-style climate. It is a major centre for the vast agricultural and horticultural region that takes in parts of New South Wales, Victoria and South Australia. Mildura is also home to a strong arts community, and offers a great cafe and restaurant culture. With a relatively small campus, La Trobe’s Mildura students benefit from plenty of one-on-one contact time with staff. See below for a list of amenities near our campus. La Trobe’s new $10-million Shepparton campus building opened in late 2010. Designed with sustainability in mind, it features a café-bookshop, open-plan study area, meeting rooms and a nursing skills laboratory. The central Victorian town of Shepparton is located 180 kilometres north of Melbourne in the Goulburn Valley, on the traditional land of the Yorta Yorta and Bangerang people. Set in a major fruit-growing and dairy region, it’s the regional centre for an area known as the food bowl of Australia. See below for a list of amenities near our campus. Ms Pauline Tan was the Chief Nursing Officer (CNO) at the Ministry of Health (Singapore), and leads the nursing profession in Singapore. Currently she is the CEO at Yishun Community Hospital. Pauline was the first to develop the Advanced Practice Nurse scheme in Singapore, and in 2006 was the recipient of the President's Award for Nurses. Ms Tan recieved a Bachelor of Nursing, and later, an Honorary Doctorate of Nursing, at La Trobe University. "Check out La Trobe's campus has to offer!"